I promised I would tell you all about the W7 Cosmetics Ebony Range which I received from the lovely W7 PR team and here it is. They kindly sent me two packages; one with regular W7 Makeup Products (already reviewed here) and the other containing their Ebony Range*.The Ebony range is designed for darker skinned girls like me although I don't think they are exclusively for darker skinned ladies. I believe many of the products within the range except the powder and concealer will suit anyone regardless of your complexion. I am really impressed with this range. Most of all, I am very pleased to see a drug store brand create a range to suit darker skinned ladies as this is an ongoing struggle. It's not a struggle for only darker skinned ladies; it's the same for ladies with paler skin tones. Some of my friends who have pale skin find it challenging to track down products that match their skin tones especially foundations, concealers and even bronzers that don't look muddy. I wish more brands will cater to several ends of the spectrum but I have noticed that some drug store brands have extended their range compared to what it was like a few years ago. 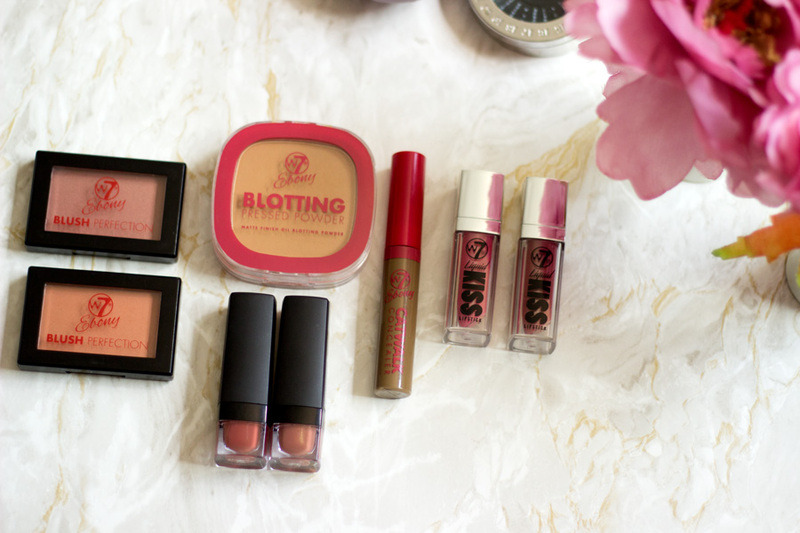 Right onto the review, I received various products from the range including the W7 Kiss Liquid Lipsticks*, Ebony Matte Lipsticks*, Ebony Matte Blotting Pressed Powder*, Blush Perfection* and Ebony Catwalk Concealer*. I have always liked W7 Cosmetics Packaging especially the packaging for their eyeshadow palettes. They look and feel like really good quality and you would never believe that they are an affordable drug store brand. Some of the Ebony Range products I received had black casing made from plastic (except the Matte Powder and Concealer which were in clear casing with red lids/tops). I don't think the Kiss Liquid Lipsticks are from the Ebony Range but it is one of the best packaging from W7 in my opinion. It is made from similar material as the W7 Neon Nights Eyeshadow Palette which you all know I am obsessed with. Overall, I am pleased with the packaging of the products I received and I have not had any problem with them. This was the first product I was keen to try because I feel like if a brand gets powder right, especially for darker skin tone, every other product will be promising. I like how cute the packaging is and it comes complete with a mirror and a powder puff when you flip it open. It is not the most practical packaging as such because I prefer to have the mirror in front of the powder. 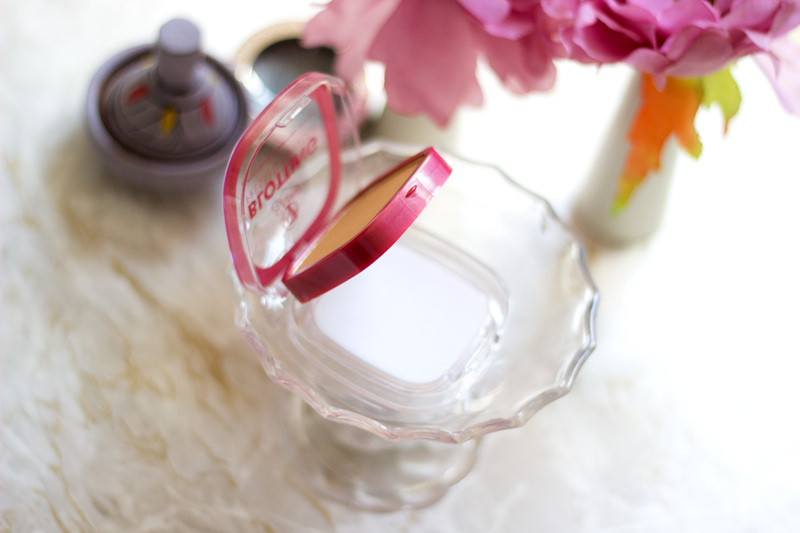 However, it actually works well and it also means your mirror does not have to get dirty from the powder. This powder is good at mattifying the skin and I know oily skin girls would really like this. It also adds some coverage (it's quite pigmented) so it is important not to go overboard with it. I just use a really light hand and dab around areas where I am prone to get shine. I really like this powder and I use it both as a setting powder and a touch up powder. 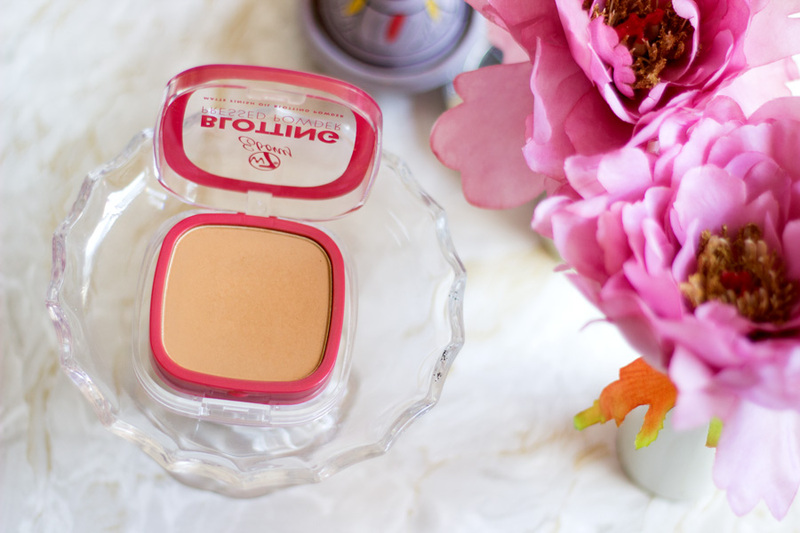 If you have a lighter/paler complexion, I feel this can work well as a bronzer or even blush as it has warm undertones making it perfect for summer. I even tried using it without foundation and it offered good coverage although I used a concealer for some pesky blemishes. 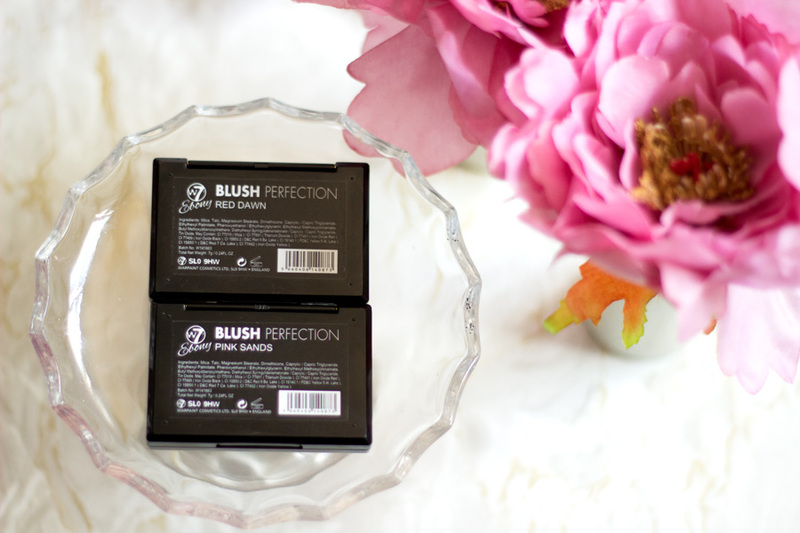 I am very picky when it comes to blushes because many of them are too cool toned for me or they are not well pigmented. 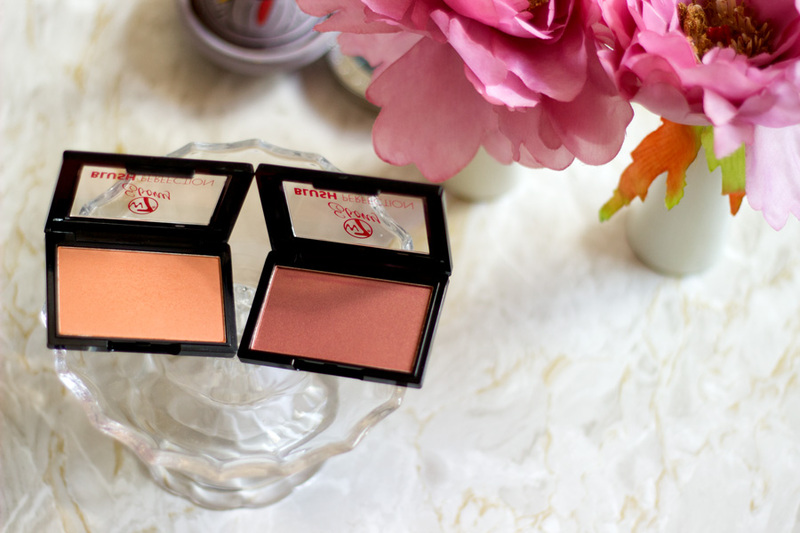 I was very curious about these blushes because they had very interesting names- Pink Sand and Red Dawn. I had to do a quick swatch immediately I received them and I was surprised to see how pigmented they were. They really do remind me of the Sleek Makeup Blushes in terms of pigmentation. 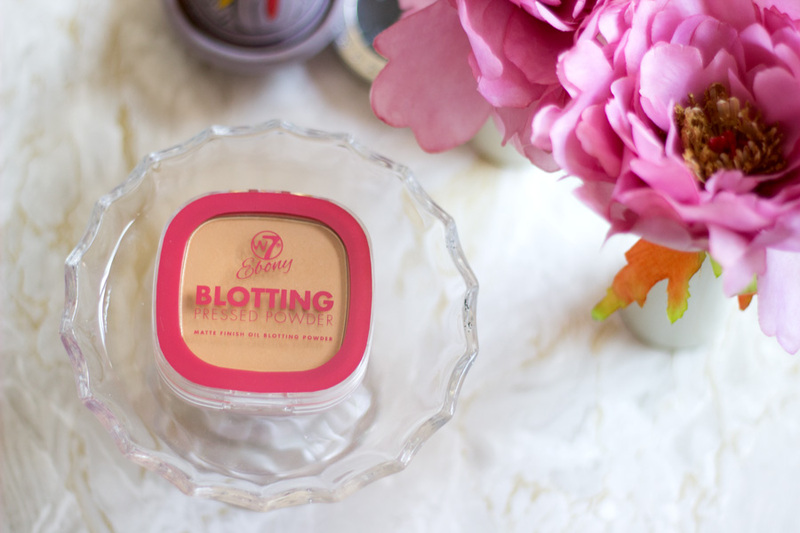 These W7 Blushes feel so easy to apply and the texture is not chalky at all; it feels quite buttery to touch. They are really pigmented so it is important to start with a light hand and build up if need be. 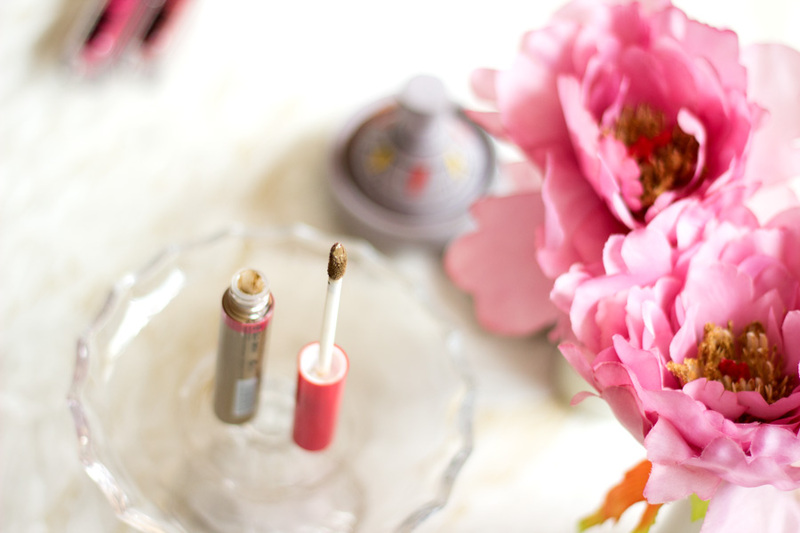 Although, I am not one to build up blushes per say because I like them to be subtle and as realistic as possible. 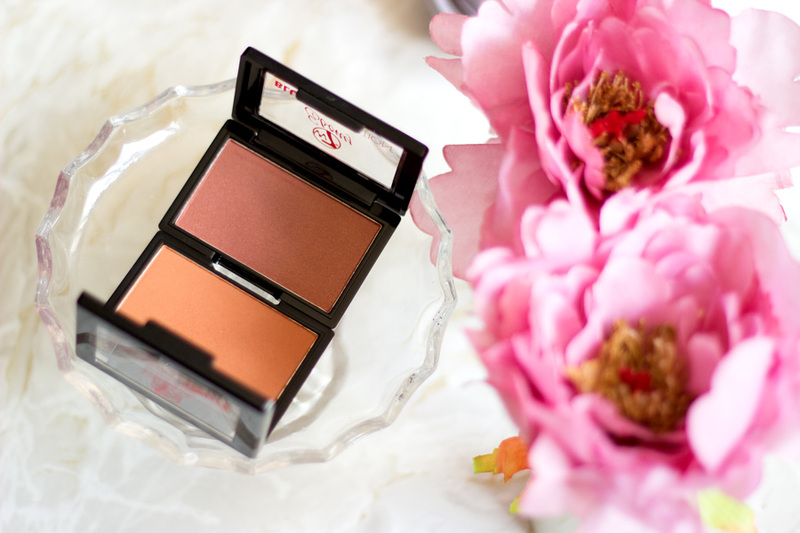 Pink Sand is a coral earth tone blush which looks very flattering on my complexion. It does not have any pink elements as the name may suggest and I prefer it this way. 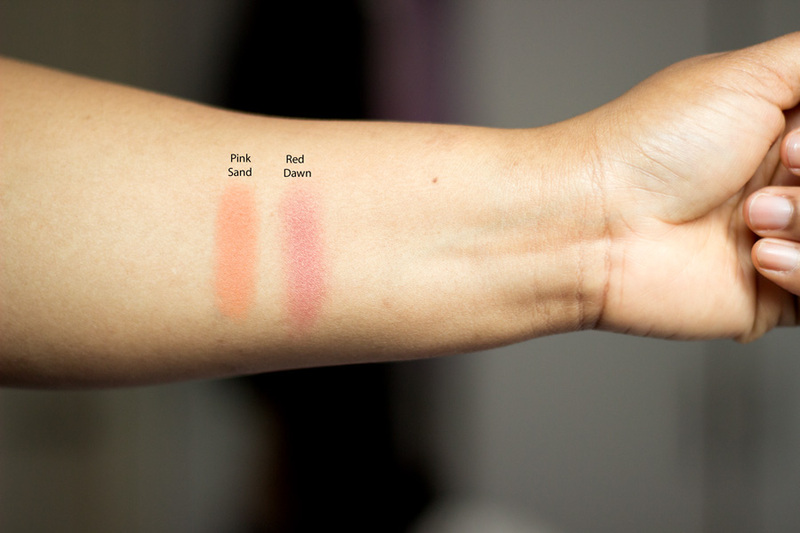 It is very similar to Sleek's Sahara Blush so if you like that, you would definitely like this blush. It does not have any glitter and it has a matte texture which I like for day time/every day wear. 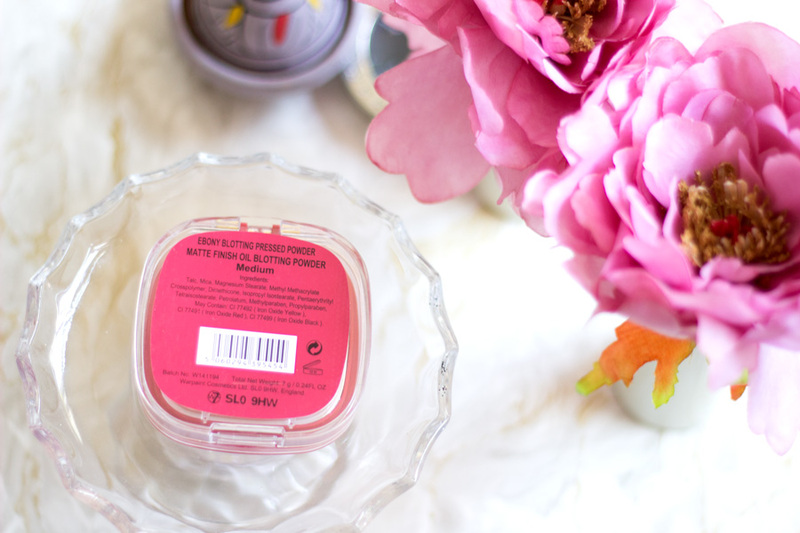 Red Dawn is quite true to its name as I would describe it as a an earth toned blush with hints of mauve or deep pink/purple. I am a little rubbish at describing it but it is such a pretty blush and it has some speckles of gold intertwined in it. Again, it reminds me of Sleek's Rose Gold Blush although they look very different in the pan. On application, Red Dawn gives off a rose gold colour which is so flattering on my complexion and I believe would suit anyone depending on the way you apply it. 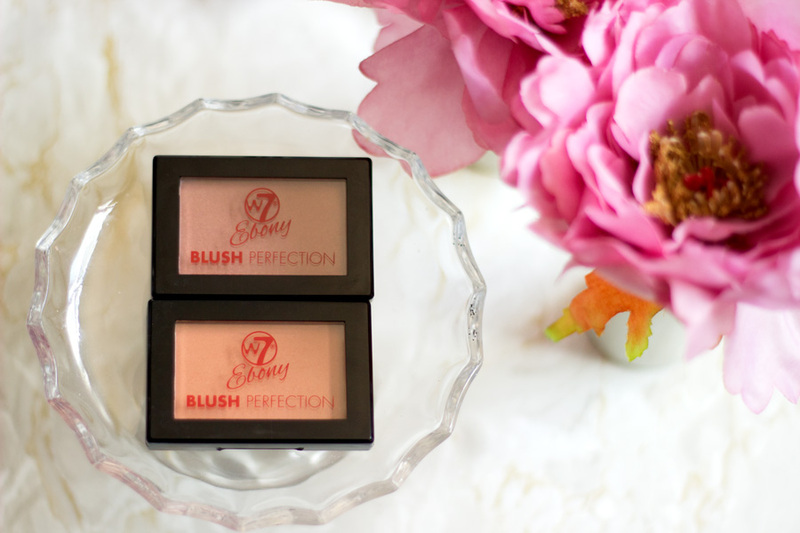 I have been using these blushes non-stop because they are really pretty blushes and perfect for this season. I was slightly scared to use this concealer because it looked way too dark for my skin tone and it certainly is. It does not work for me as a concealer per say but I use it to colour correct some really dark blemishes on my cheeks. This works best for me as blemish corrector or colour corrector as opposed to a regular concealer. I would describe it as dark brown shade but it appears to have some slight hints of green in it. It's possible my eyes may be deceiving me but it is quite a unique/interesting colour. I think the subtle green tint in it makes it good for colour correcting/blemish correcting as it cancels out any dark blemishes. I was surprised by the results I got when I used this under my foundation because it hid my blemishes really well and did not interfere with the colour of my foundation. 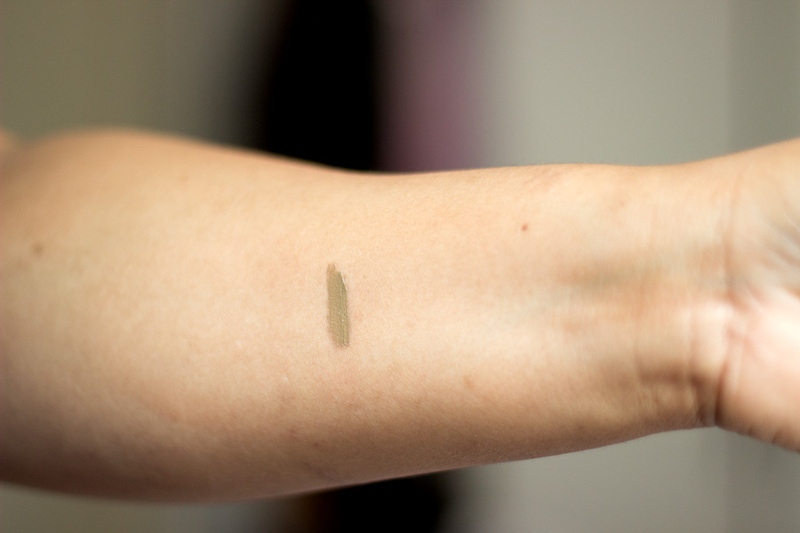 The doe foot applicator also makes it really easy to use on pin pointing blemishes. I am keen to see if anyone has tried this as a regular concealer because I have never seen any concealer with this kind of colour. There are only two shades- Earth and Clay so it may be difficult to find something suitable. However, I am really impressed with its colour correcting properties and it lasts for a really long time without fading. Now, we are entering the terrain of my favourite products from everything I received. 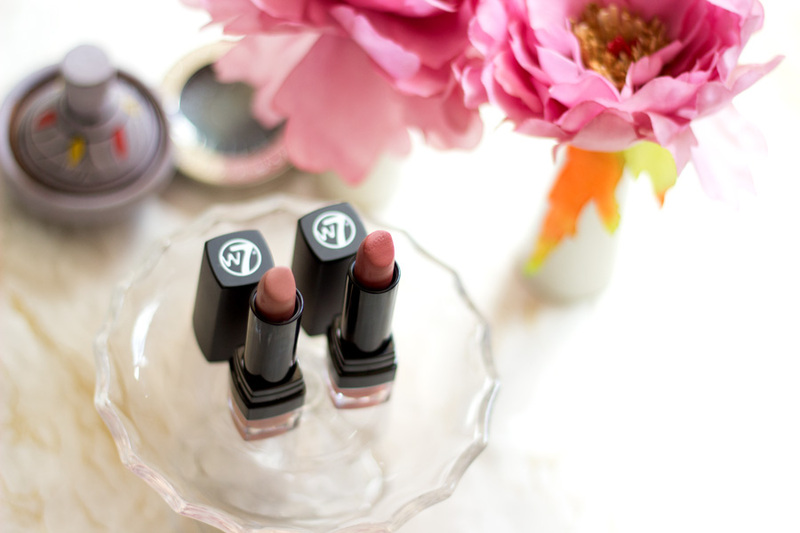 I had no idea W7 Cosmetics had Matte Lipsticks and I am really impressed with this lot. First off, the colour pay off and longevity is really good. The texture feels quite moisturising for a Matte Lipstick but it does not have any gloss or shine which I like. My lips just feel comfortable and I have enjoyed testing these lippies out. The shades I received are Lady Luck and Madam Fifi. I don't know why but the names make me happy; I think they remind me of some characters in some story books I read as a child. I feel like whoever chose these shades knows me so well because they are right up my alley. They are my typical everyday lipsticks. Lady Luck is a matte flesh toned brown with slight hints of pink. I just really like it and it is similar to MAC Velvet Teddy, Rimmel Lipstick Kate Moss 03 and Collection Deluxe Charleston 03 Lipstick. 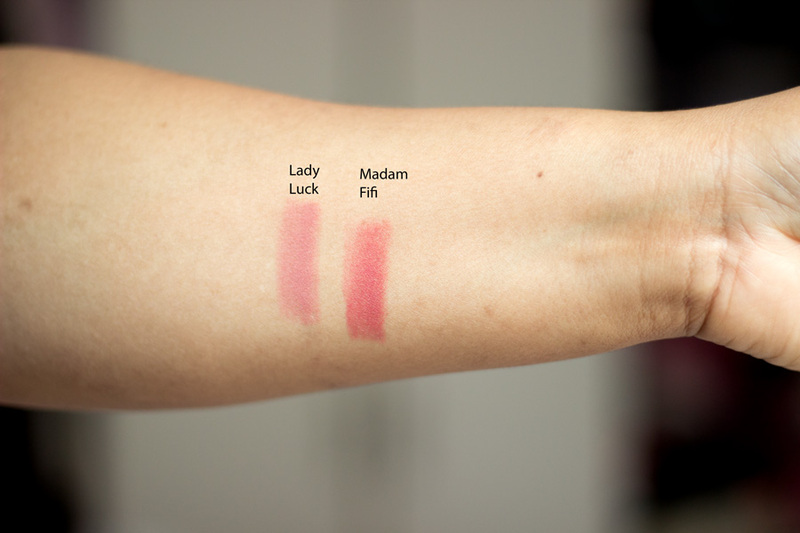 The other shade Madam Fifi is more of deeper mauve/pink brown shade which reminds me so much of MAC's Twig. The packaging does not feel cheap at all and it feels well made. The longevity is really brilliant and I still have a stain left after I have eaten my meals. 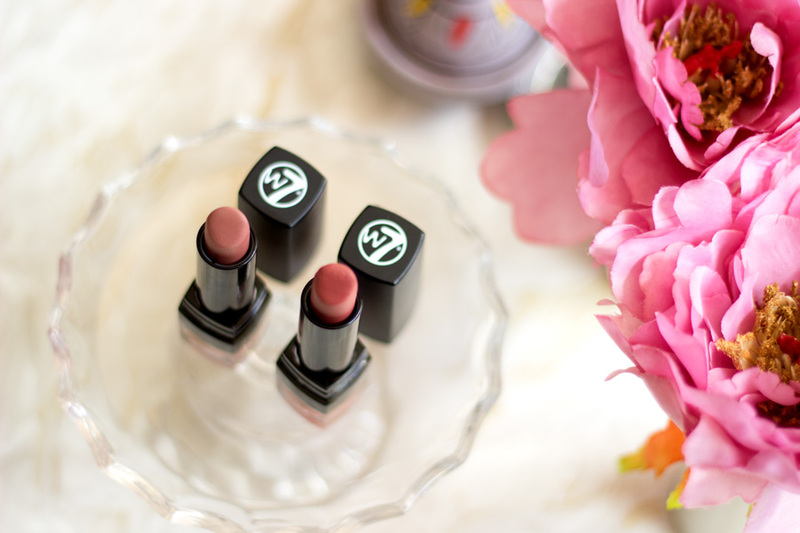 If you are after an inexpensive matte lipstick, I highly recommend the W7 Matte Lipstick. There is a variety of shades to choose from and the shades sent to me look like they would suit many skin tones/complexions not just darker skin. 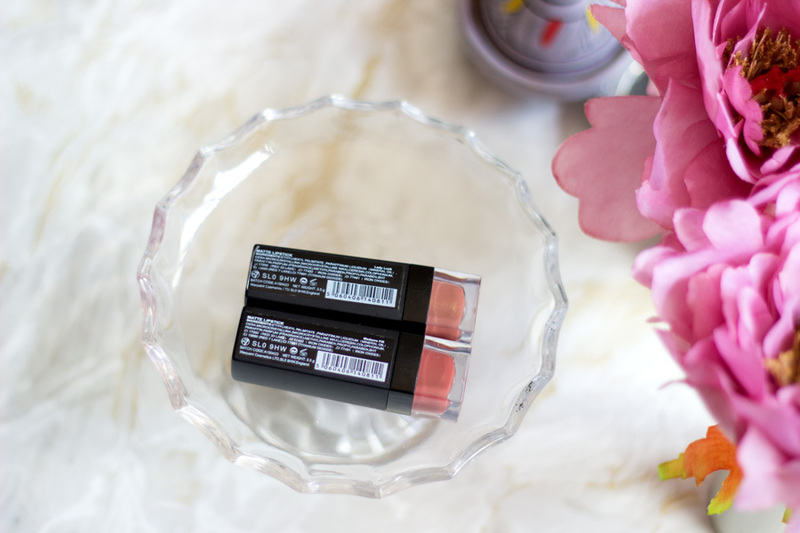 I have only tried a few liquid lipsticks and I have mixed feelings about them, however, the W7 offerings are one of the best I have tried so far. 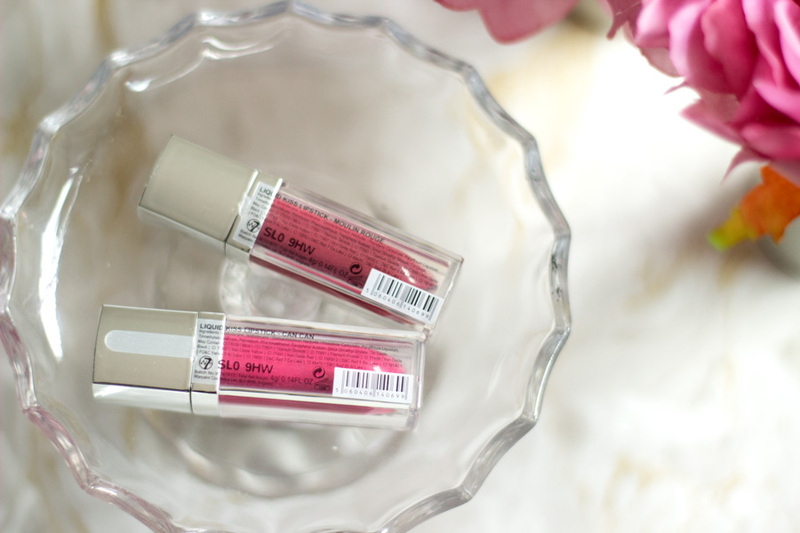 The W7 Kisses Liquid Lipsticks are so cute and dainty and I feel this is the best packaging from W7 so far from what I have seen/tried. 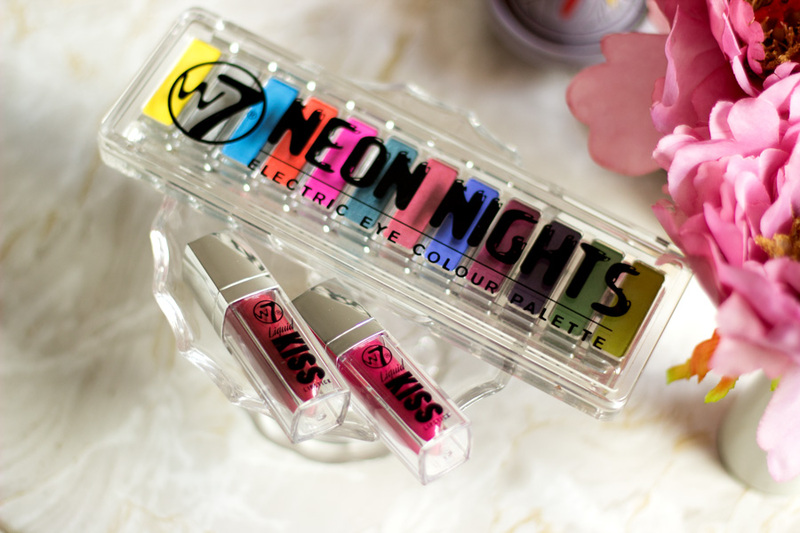 I already mentioned that they are similar to the W7 Neon Nights Eyeshadow Palette packaging which is transparent so you can see the beautiful products easily. 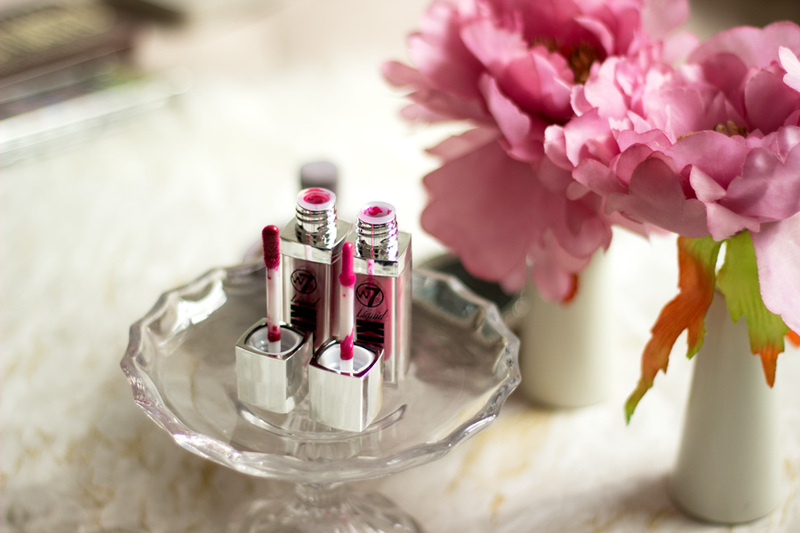 These Liquid Lipsticks are intensely pigmented and they do last for a good while on the lips. I believe they can be layered but you need to wait for the first layer to dry before going in with another. 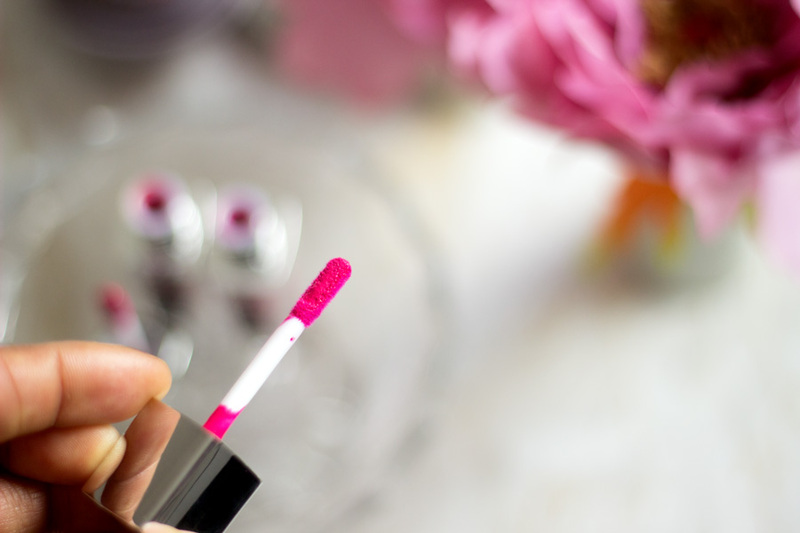 It has a doe foot applicator which has a slight groove in the middle which I believe is designed to ensure that one dip is enough to coat both lips. 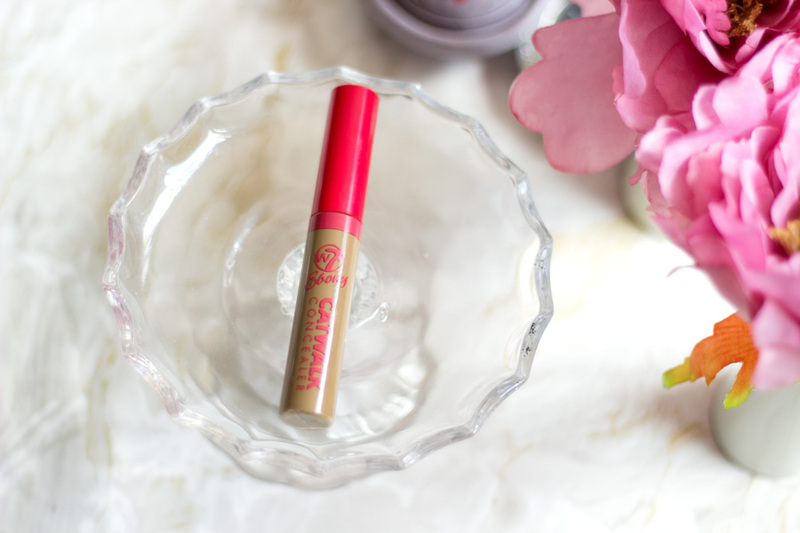 It applies on the lips almost like a lip gloss and then it dries matte within seconds. It looks amazing but you really need to be precise and careful when applying it while in its liquid form to prevent any irregularities. Once it dries, it feels slightly sticky at corners of my lips but it's not annoying. It can be ignored but I just apply a little lip gloss and it goes away. I guess everyone's experience may be different but I really like how it looks on my lips and its longevity is pretty impressive. When it eventually fades, it still leaves such a beautiful natural stain to the lips which is still there until I take my makeup off. The shades I received were Moulin Rouge and Can Can and they are really pretty, bright colours. 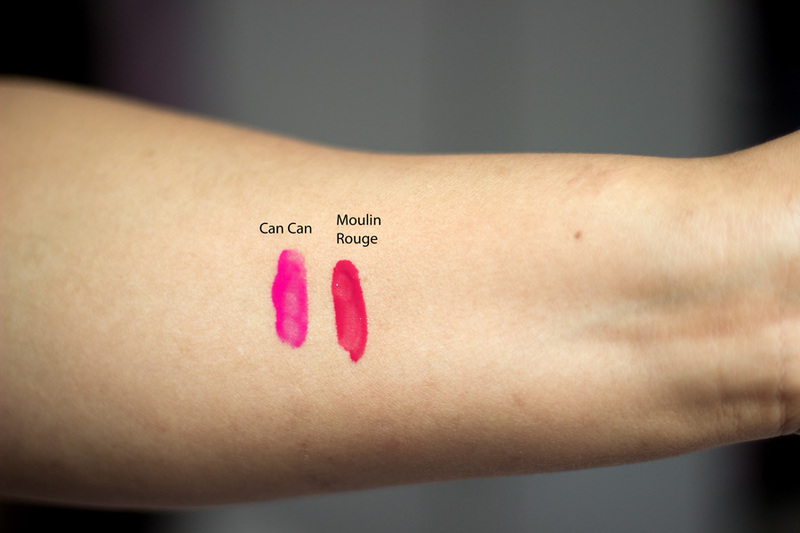 I would describe Can Can as a neon pink shade which has neutral undertones so it would suit anyone who loves bright lippies. I know it looks like it has cool undertones from the picture but it looks neutral in real life because it suits my warm undertone skin. 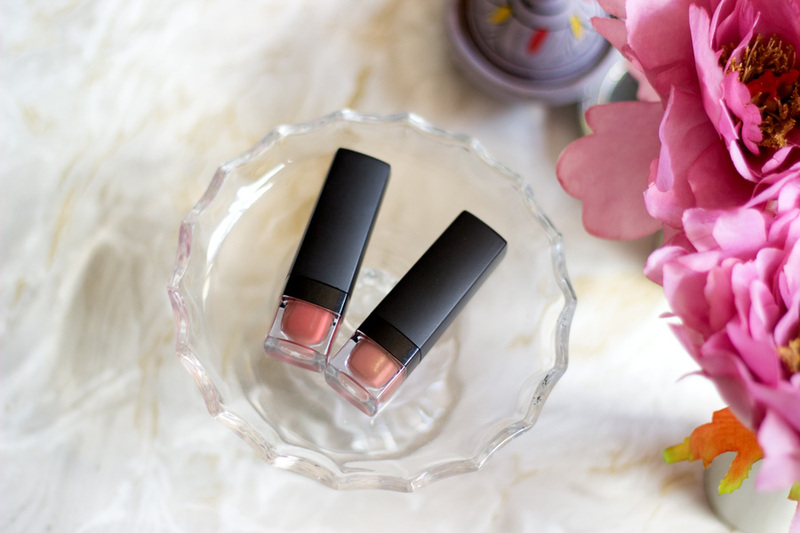 It's a really fun summer shade and I know it would get a lot of love from me this Summer. 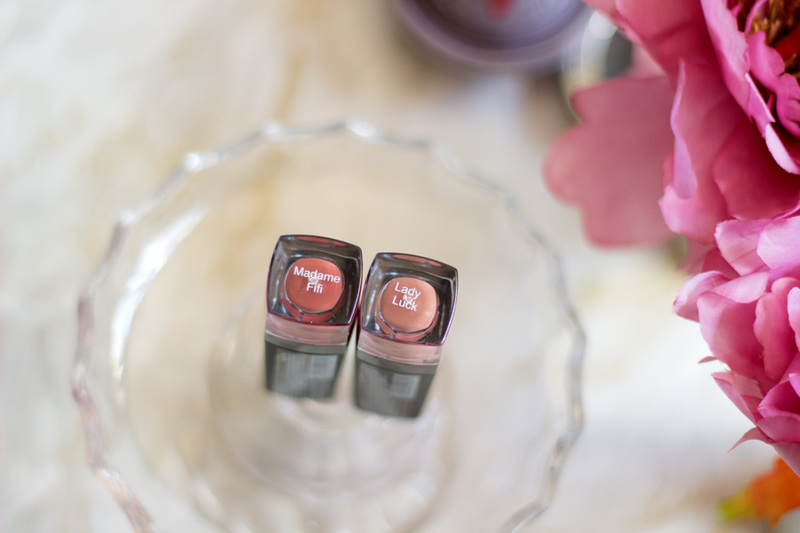 Moulin Rouge is warm toned red shade with hints of pink and it is my favourite. I find it easier to wear and I think it would be suitable all year round/all seasons. I feel it really suits my complexion so well and I have even worn it to work a few times because it looks quite classy.